Paintings & prints of Evening Light Over Portobello Beach, Edinburgh, Scotland. An original painting and prints of Portobello Beach, Edinburgh, Scotland. 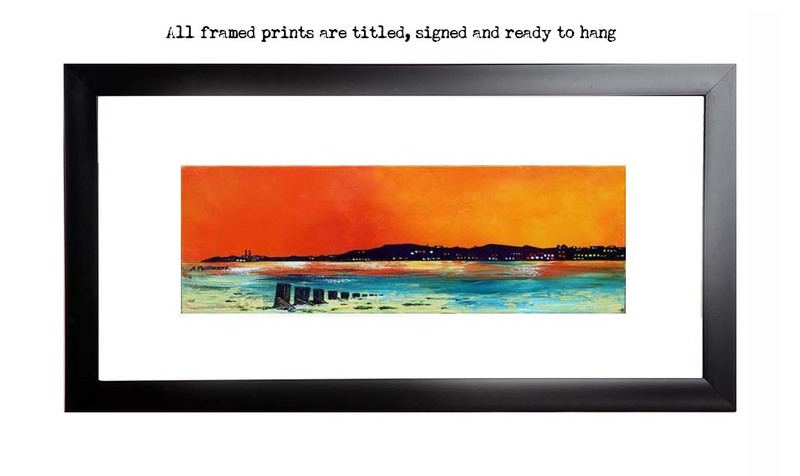 Framed print of Portobello Beach sunset, east Lothian, Scotland by Scottish landscape painter Andy Peutherer. Edinburgh Paintings & Prints - Evening Light Over Portobello Beach, Edinburgh, Scotland.